The talk examines how a message about the new roles of women was created in post-WWII Poland and reproduced via press, literature and cinema. The emphasis is not so much on the “input” and “output” products, i.e. on representations of the “old” and “new” Polish woman in the public discourse, but rather on the very process of creating this new “product”: a message that aimed to transform Polish women from dutiful wives and mothers into independent, equal agents of socialist modernization. 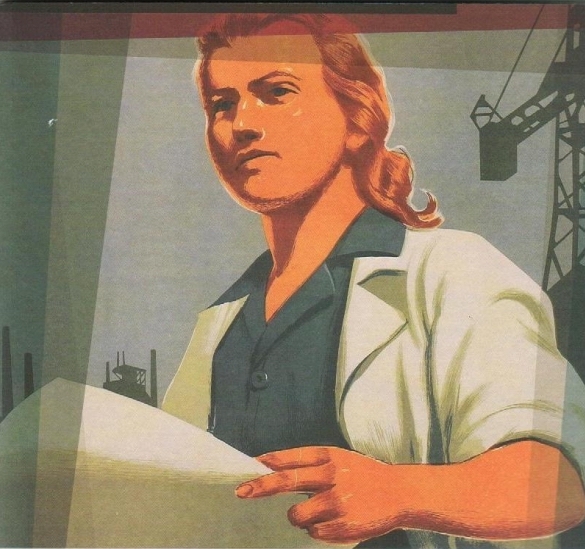 The focus is on the first post-war decade, however, by recalling voices of the female architects of the socialist vision for women, the research also broaches pre-WWII and post-Stalinist times. The speaker claims that the processes described here were not happening in a historical vacuum: not only did they draw from the pre-war women’s activism, but they did not end abruptly either when de-Stalinization began. They were marked by continuity and change which the talk intends to grasp.